Over 190 birders from 40 teams assembled in Eilat for an incredible race day on March 29th 2016. The teams combed the playing field from Nizzana and Yerucham Lake in the Negev, down to the Gulf of Eilat in a hectic attempt to log as many species of birds possible in 24 hours. There are many wonderful stories from race day, these will surface slowly of course but for now we are delighted to share the final results of an amazing day of birding for conservation. Regardless of how the teams did on the actual Big Day we would like to congratulate you all on the incredible fundraising efforts you all put in. As you know we have raised a record high of $70,000 that will go to active bird conservation on the ground in Greece. For this, you are all CHAMPIONS! The Champions! The Zeiss Arctic Redpolls with 174 species! A Grand total of 243 species were seen during the 24 hours by all teams. The Champions of the Flyway Whatsapp group buzzed with over 620 messages of information shared by teams! The official hashtag $#COTF2016 lit up social media for days! Congratulations to all teams and thank you for making this year our best yet! 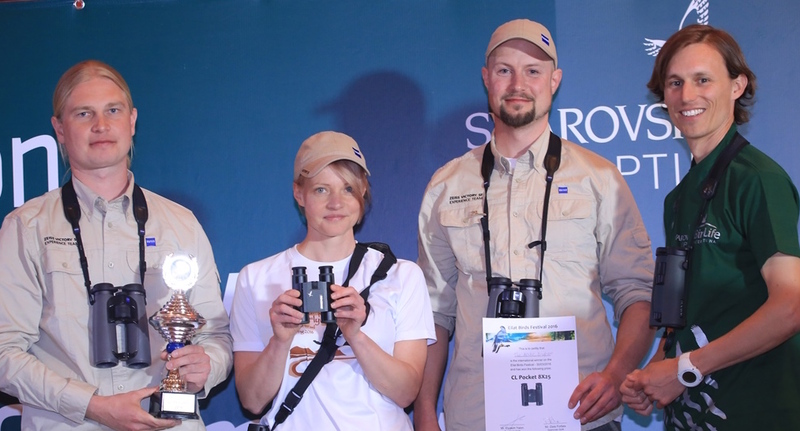 2016 Champions of the Flyway Results Champions of the Flyway 2016 – Award winners!